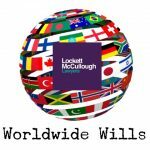 The Lockett McCullough Lawyers conveyancing team includes both lawyers and senior conveyancers who each have extensive experience with the issues faced by clients purchasing and selling residential property, including ‘off the plan’ properties. 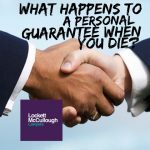 In the event that your conveyance is not going smoothly or there are any issues on the day of settlement, Lockett McCullough Lawyers has experienced solicitors on hand to assist with providing you with advice at no additional cost to you. For more information on Buying or Selling, how Conveyancing Works or how we can assist you with your property transaction, please don’t hesitate to call us on 07 3870 8244.
full disclosure of all the relevant search fees, taxes and other costs that will be payable by you. Buying a property can be overwhelming, particularly for first home buyers. After finally finding the right property and negotiating the purchase price, it is time for you to sign a Contract. After putting your property on the market and finding the right buyer, it is then time for the conveyance – transferring the title of the property from you to the buyer. Stamp duty is a tax imposed by the Queensland Government on the purchase of property, both residential and commercial and is payable by the buyer under the standard Contract terms. Purchasing property using your Self-Managed Superannuation Fund (SMSF) usually incorporates the same conveyancing process as a normal residential transaction. It is crucial, as the buyer of an ‘off the plan’ contract, to obtain legal advice prior to signing the Contract to ensure that your interests are protected as much as possible. 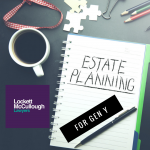 It is becoming increasingly more common for relatives and friends to purchase property together in order to gain entry into the property market.